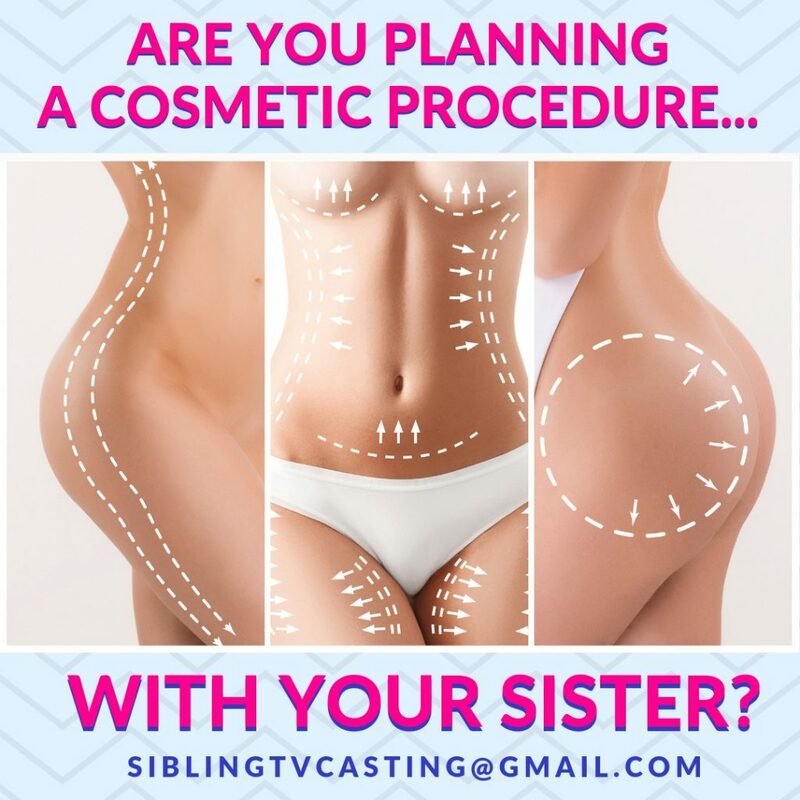 NOW CASTING: Are You Planning A Cosmetic Procedure With Your Sister? Award-winning TV production company & major cable network are NOW CASTING a brand-new, groundbreaking documentary series about incredibly CLOSE-KNIT, INSEPARABLE sisters, who DO EVERYTHING together! This is YOUR CHANCE to STAR in a new series, get PAID and have the time of your life with your sister! Are you planning a procedure to improve your looks? To look more or less like one another? Perhaps you need a procedure following a weight loss? Whatever it may be we want to hear from you! Are you BEYOND close with you sister? Best friends? Soulmates? Do you live together, work together, share everything and literally do LIFE together? Work out all the time? Do you have an inseparable bond that people fail to understand? Do you take “sisterhood” to the next level? If you and your sister have an incredibly close-knit relationship we want to hear from you!